Description: This is an adaptation of the Single Bracelet. There are a couple of additional steps added to give the bracelet a better appearance. 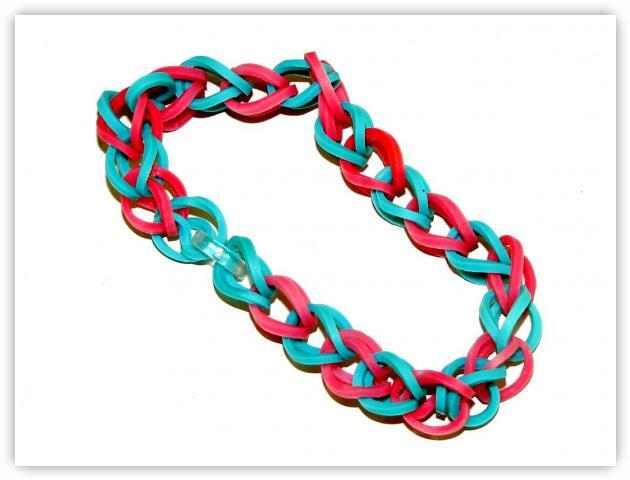 The single bracelet is popular for extensions for other patterns as well, because it is easy to add or removed elastics to make the bracelet have the perfect fit. This pattern can easily be made into a necklace as well by adding more segments to the pattern. 5) Starting on the bottom peg, in a zig-zag fashion, place the elastics on the pegs, alternating colors . . .